Minnesota Department of Natural Resources - FTS Inc.
Minnesota state government agency charged with the conservation and management of state parks and forest, minerals, and wildlife. 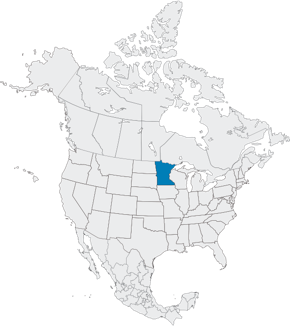 Located in the midwestern United States, much of the terrain in Minnesota is characterized by gently rolling hills, notwithstanding dramatic elevation differences in mountainous regions. In these areas, exposed rocky terrain and various geological formations are not uncommon. 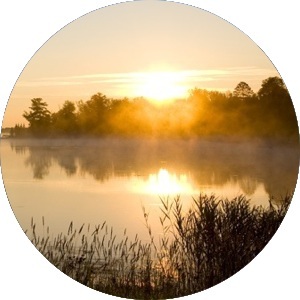 Often referred to as “The Land of 10,000 Lakes” because of the 11,842 lakes over 10 acres in size, Minnesota has the most wetlands of any state except Alaska. Boreal forest cover is predominant in the north, giving way to broadleaf forests in the southern regions. The climate is continental, resulting in hot summers and cold winters, and many of the lakes freeze over in late autumn. The area experiences many meteorological events such as snow, rain, blizzards, thunderstorms, hail, tornadoes, and high-velocity winds. The Minnesota Department of Natural Resources has been an FTS customer since 1993. The Minnesota Department of Natural Resources’ fire RAWS network includes both fixed and portable stations. The state borders Canada to the north, and as a result uses both the Canadian and the National Fire Danger Rating Systems.